Comments: Charlotte 'Lottie' Digges Moon, was born at Viewmont in Albemarle County, Virginia, on December 12, 1840. She was the daughter of Edward and Anna (Barclay) Moon, wealthy landowners and a Scottsville merchant. Lottie Moon received her education as a teacher at the Virginia Female Seminary and Albemarle Female Institute and accepted an appointment as a Baptist missionary to China in 1873. She was absolutely devoted to the Chinese people for thirty-nine years. During a 1911-1912 famine, Lottie Moon shared her own meager money and food with everyone around her, severely affecting her health. Weighing only 50 pounds, Lottie Moon died on December 24, 1912, from severe malnutrition. On December 17, 1840, on a plantation known as Viewmont near Carter's Bridge, Virginia, and owned by John Diggs Moon, a third child was born. There were always pets at Viewmont and there were always children. The house belonged to them, and a leader from her babyhood in all the fun and frolic was this third child named for her great grandmother Moon, Charlotte Diggs. Her name was shortened early to Lottie. Her father had been reared a Presbyterian while the mother of the home was a Baptist. There was no church of either faith near them so her mother had regular services every Sunday morning in her parlors, calling in the neighbors and their children and the slaves to take part. In 1842, a movement was begun to build a Baptist church in Scottsville about ten miles away. The ardent faith of his wife was perhaps a great help to Mr. Moon in making his decision to align himself with the new Baptist congregation so he was immersed as soon as it was organized and became the largest contributor to the new building. This building is still used in worship at Scottsville. The best governesses and tutors available came and went at Viewmont giving to the growing boys and girls cultural education of the day. In 1854, Mrs. Moon sent Lottie (her father having died) to Hollins College in the western part of Virginia. 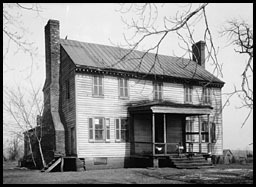 In 1857, a school known as the Albemarle Female Institute at Charlottesville was opened, and Lottie Moon entered the college courses of this school --its standard being made comparable to that of the University of Virginia. Dr. John A. Broadus was pastor of the First Baptist Church, Charlottesville, and he held a revival in this school. Lottie Moon completely surrendered herself to the Lord Jesus and was baptized at the First Baptist Church. This was the spring of 1859. She had a devoted admirer, who was at the time professor of languages at the University, but she refused to marry him because he changed his views on religion and left the Baptist denomination. Some years later, a relative asked her if she ever had a love affair, and she replied, "Yes, but God had first claim on my life." Lottie and a friend, Miss A. C. Safford, went to Cartersville, Georgia to teach in a new school for girls. Dr. R. B. Headden was pastor of the Cartersville Baptist Church and at the close of a sermon he gave the invitation with a prayer in his heart that one would volunteer to go as a laborer into the harvest and his prayer was answered for not one, but the two beloved teachers of school walked down together to signify that they had answered the call. Lottie Moon's words to Dr. Headden were, "I have long known God wanted me in China. I am now ready to go." On July 7, 1873, the Foreign Mission Board appointed her to North China. 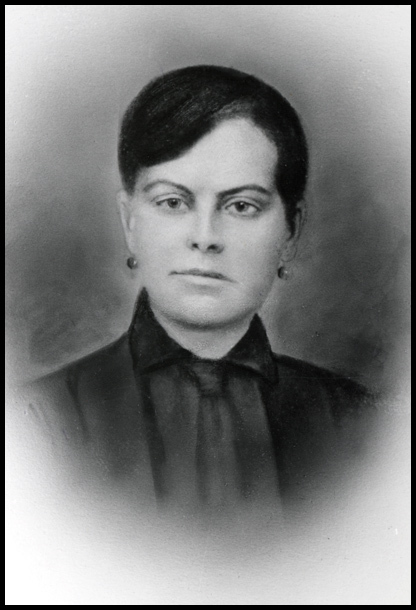 Lottie taught at mission schools, ministered to women, and eventually adopted Chinese dress and learned the Chinese language. After seven years of managing a boarding school at Tengchow, Lottie moved to the interior of Shantung Province, where she conducted evangelistic work and started village schools. 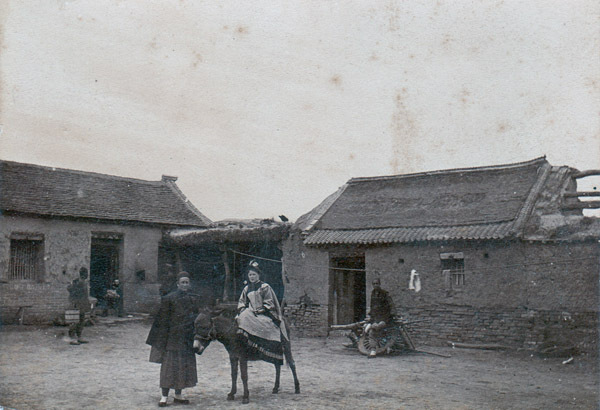 So for thirty-nine years, Lottie Moon served her Lord and Master in North China with many heartaches, very little help, and as many as fourteen years between furloughs. With the fall of the Manchu Dynasty, there was a famine in China, especially in her beloved Pingtu where Lottie had labored so long. Out of her small resources, she gave all that she had and deprived herself of food to distribute to others. The first of December 1912 came, and Lottie Moon had a breakdown. Word was sent to a missionary, Dr. Gaston, to come at once. One look at her told the doctor the story. She was starving to death. They decided a change of scenery might help, and so they started Lottie home via ship on December 20, 1912, with a nurse to care for her en route. Four days later on December 24, 1912, Lottie passed away as the ship rode gently at anchor at Kobe, Japan. Lottie Moon is buried at Crewe, Virginia. This photo of Lottie Moon was provided courtesy of Robert Spencer, Scottsville, VA. This photo of Lottie Moon was provided courtesy of Cenie Re Sturm, Scottsville, VA.